At Merit Moving Systems, it’s no secret that our customers come first. Our mission has always been to provide our customers with a smooth and successful moving experience, which is why we’ve always made it a point to hire the friendliest, most qualified individuals we can find to form our outstanding team of professional movers while focusing on exceptional services and outstanding support. 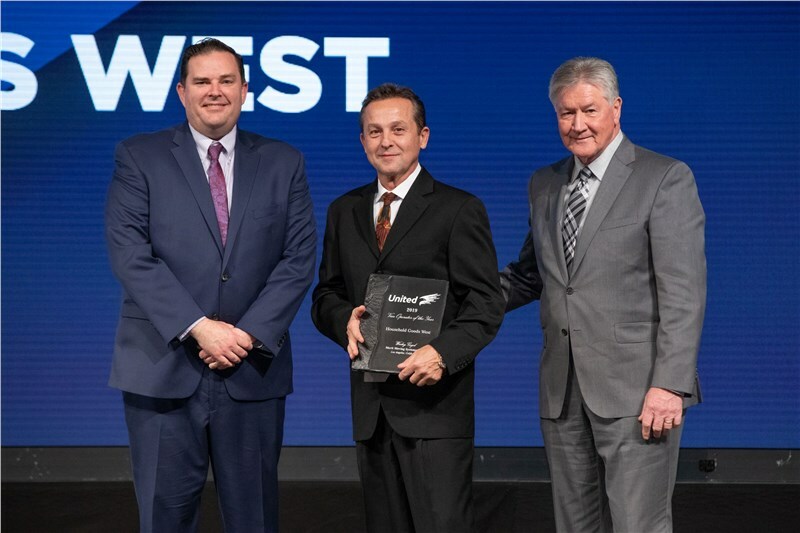 Because of our commitment to our customers, our team at Merit Moving Systems is excited to share that one of our team members has received the United Van Lines’ Household Goods Van Operator of the Year Award. Wesley Gogol, a 35-year veteran of the moving industry and Merit Moving Systems team member, was one of three employees honored with this distinction—chosen from over 4,300 drivers in the United Van Lines’ network of over 300 affiliated agencies. Merit Moving Systems is a top-rated moving company with over 60 years of experience in the industry. We’re proud of our highly skilled and compassionate team of professional movers, and of our affiliation with America’s #1 Mover®, United Van Lines. Take a look at some information about this important achievement and why our company’s highly skilled team of movers stands out as one of the highest rated moving companies in the industry. With over 35 years in the moving industry, Merit Moving System’s van operator Wesley Gogol has racked up over three million miles of local and long-distance moving experience. With so many miles traveled, he’s truly dedicated his life to others—sacrificing his time and effort to help our customers navigate smoothly through what can otherwise become a stressful life event. Gogol, a Polish-born father of three children, attributes the success he’s had in his career to the support of his family, his patient and positive personality, and years of experience in the industry. Gogol was recognized and awarded by United Van Lines this year as a result of these characteristics, along with his evident problem-solving skills, leadership qualities, and the commitment he’s made to ensuring the safety and quality of experience for his customers throughout each step of their relocation journeys. For a video of Gogol, please visit United Van Lines’ YouTube site. United Van Lines has been a prominent figure in the moving industry since 1928. Since then, it’s evolved into one of the most reputable moving companies in the United States, with over 300 affiliated agencies across the nation. In the late 1970s, the company began honoring employees for outstanding service and professionalism in the industry. Since then, the national awards for Operator of the Year and other distinctions from United Van Lines have become some of the most prestigious and sought-after achievements in the moving industry. Award-Winning Services at Merit Moving Systems, Inc. When you choose Merit Moving Systems to help you relocate your home or business, you can expect nothing less than the very best. Like Wesley Gogol, our expert team of professionals are passionate about helping others experience the joy of a smooth and relaxed relocation—and go above and beyond to craft the perfect moving project you want and deserve. This award is just one of many we’ve earned from United Van Lines and other industry-leading organizations. For more information about our awards and past distinctions, or to learn about our superior services for your next relocation, give us a call now or fill out our online form to request a free, in-home pricing estimate.